My mom, son and I visited Window Rock, Arizona several years ago to photograph star trails of Window Rock. The star trails were a bust because I didn't have the correct settings on my camera. It was cold and we were tired so instead of starting over, we left and got some sleep. What I came away with was this photo, which isn't very colorful since it was the dead of winter and everything was dead. The window rock is a very cool natural feature that I would most definitely like to return and try my hand at star trails again some day. 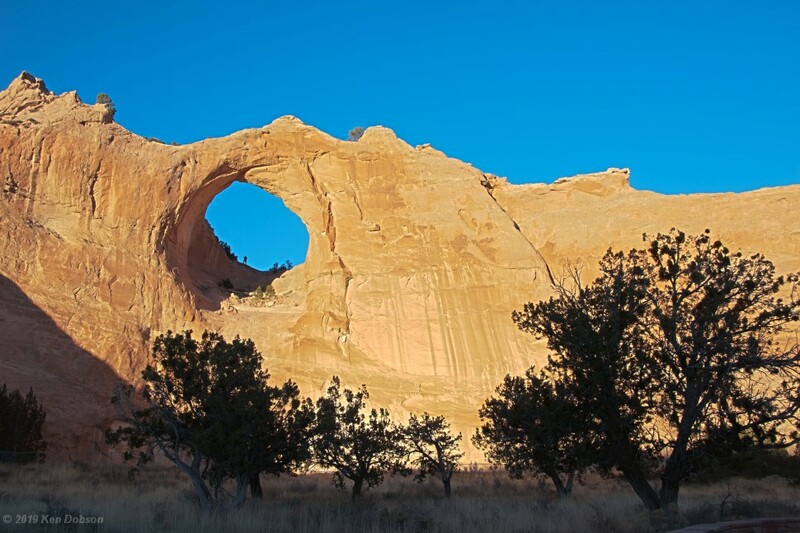 For those interested, Window Rock, Arizona is a very small town on the border of Arizona and New Mexico.